Over the last two decades, brands have become 200% less distinct from one another. The ones that stand out, however, have something in common: They integrate two seemingly opposing personality traits. In this series of six blogs, I offer different methods to discovering and leveraging the duality embedded inside your brand. By tapping into these insights, you could make your brand stand out. Within advertising circles, Carol S. Pearson is famous for her book the Hero and the Outlaw, which she co-authored with Margaret Marks. The archetypal system that she introduced became highly popular among brand practitioners, who yearn to manage meaning. That said, Ms. Pearson’s work, frameworks, and reputation go way beyond branding. As it happens, branding is one of the many fields in which her thinking has been applied. Long before she became famous in the world of commerce, Ms. Pearson wrote (and still writing) books to support the heroic journey of individuals. Inspired by Joseph Campbell’s Hero’s Journey, she explored different heroic paths. Then, Ms. Pearson developed a system consisting of 12 archetypes back in the early nineties. In a rather chronological fashion, she showed how different life stages constellate different archetypes. “What does that have anything to do with brand tension?” you might ask? This is where it gets interesting. In her seminal work Awakening the Heroes Within, she stated that “Each major chronological stage of life calls forth two archetypes that seem to be in opposition and that press for resolution.” At childhood, the major issue is security, and the conflicting archetypes are the Innocent and the Orphan (the Regular Person in branding terms.) If the two are integrated, then emerges the Divine Child, who is neither afraid to see difficulties and suffering in life nor disappointed by them. During adolescence and early twenties, the fundamental goal is to find one’s identity. Here the Seeker (the Explorer in branding terms) and the Lover are at odds. The healthy resolution symbolically represents the Promised Land, which is the larger archetype for the true family. It helps us be true to ourselves and commit to the things and people we love. Next stage is early adulthood, during which the key task is taking on responsibility. The Warrior (the Hero in branding terms) and the Caregiver clash to determine how you handle challenges that life throws at you. Successful resolution brings forth the Archetypal Parent that protects and cares both others and ourselves. Mid life is the stage of transition where the search for authenticity is at the forefront. From the tension between the Destroyer (the Outlaw in branding terms) and the Creator emerges rebirth, in the form of elegant simplicity, which is the creation of life that has everything we need, and no more. As we mature, claiming and expressing power becomes the central theme in our lives. How we manage our symbolic kingdom is determined by the tension between the Ruler and the Magician. The Redeemer archetype is the outcome, which heals and transforms the kingdom with an acute sense of responsibility and care. The final chronological stage of life is, of course, old age. As the end is near, we finally let go of the need to control or change the world. Here the fundamental tension is about how we express our freedom. From the clash between the Fool (the Jester in branding terms) and the Sage rises enlightenment. Ms. Pearson’s framework gives us very specific instructions on where and how to find duality. For instance, if your brand stumbles upon the archetypal territory of the Innocent, then explore the ways in which you can add elements of the Orphan into your brand. By doing so, you would not only differentiate but also help evolve your brand personality. Likewise, if you are a Ruler brand, then try to harness the energy of the Magician. Now let’s see how we can integrate Ms. Pearson’s framework with brand tension hypothesis. In life, we all need someone to mentor and guide us. Business people are no exception. And for them Warren Buffet is the quintessential Northern Star. Interestingly, however, the Oracle of Omaha is also known to be notoriously humourous. Thus, he seamlessly integrates the Jester and the Sage, two archetypes of old age. A similar dynamic is embodied by the astrophysicist Neil deGrasse Tyson, the host of Startalk podcast, which bridges the intersection between science, pop culture, and comedy with clarity, humour, and passion. Every episode is co-hosted by a comedian as well as a scientist. The result is a science talkshow, which is ranked as one of the best comedy podcasts by Rolling Stone! Here is another example from a different life stage issue: power. Obama is one of the strongest -and arguably the most memorable- political brands ever. The secret of his success lies in the Redeemer archetype, which is a fusion of the Ruler and the Magician. Remember back in 2008, Barack Obama enamoured the world by his campaign that projected themes of hope and particularly change. The latter is the purview of the Magician, who is the master of transformation. So, when a strong, credible, and likeable ruler taps into the virtues of the Magician, the result is an irresistible political figure. IBM, too, benefits from a similar differentiation tactic. As the cliche goes, “Nobody has ever been fired for choosing IBM.” Whether that’s true or not, the moral of the story is that when there is fear, uncertainty, and doubt people tend to choose the safest and most reliable solution, hence the Ruler brand. But IBM is more than a big, bureaucratic tyrant. Instead, it works to build a smarter planet. So, it uses its brain and assets to transform the world in which we live. As a result, it manages to stay as one of the most valuable brands in the world. 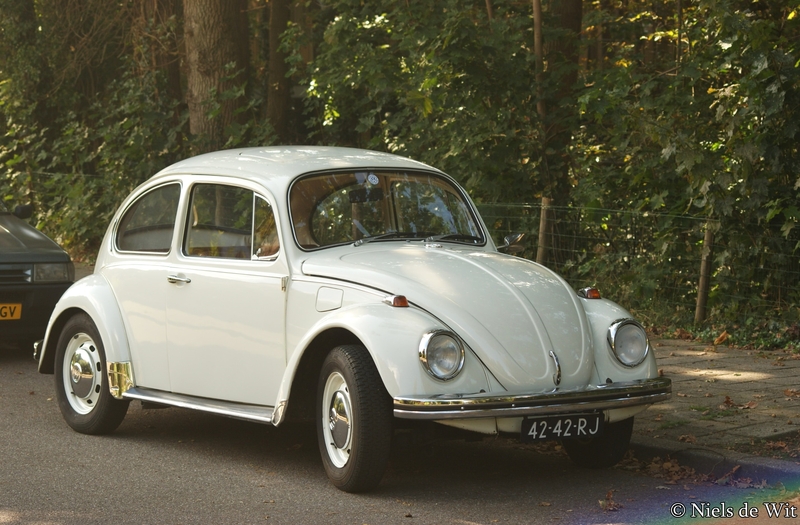 Finally, let’s go back in time and analyze VW Beetle, arguably the most famous car ever. Volkswagen means “people’s automobile” in English. There’s no denying of the role of Nazi Germany and Adolf Hitler had in the creation of Volkswagen. Their goal was to build a car that is affordable and practical enough for almost everyone to own one. In other words, to create a car brand reflecting the Orphan archetype (the Regular Person in branding terms.) But VW owes its global success to the counterculture movement of the sixties. Children of that era rejected excessive comfort, overt appeal to status, and unnecessary fuel consumption. That made the the small, round, big-eyed Beetle a popular choice. It is not difficult to see the resemblance between the Bug’s design and the facial figures of a baby. So, its babylike cuteness combined with the youth’s yearning for a simpler life made the Bug the symbol of innocence. And by blending two childhood archetypes, VW Beetle became an icon. What works for Buffet, Startalk, Obama, IBM, and Volkswagen could work for you too. The first thing you should do is to determine the dominant archetype of your brand. Then, find the other archetypal pole by following Ms. Pearson’s framework. And finally, try to integrate the virtues of the two. If you can deliver on your promise, the you would have an irresistible brand in your hands. On the fifth and the last essay of this series we will try to find ways to create tension by tapping into cultural trends. If you find this article useful, then feel free to share it with your colleagues.